Give your little girl a gift for her christening or communion that she will truly cherish forever. This engraved keepsake will always remind her of the power and strength in prayer, and she can keep that close to her heart as she grows up. 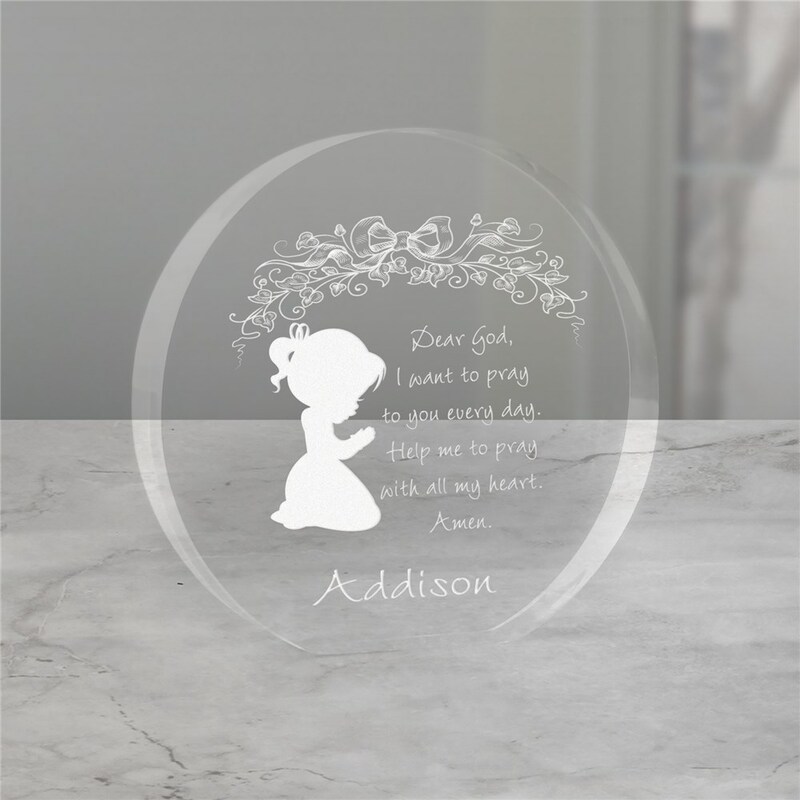 This exquisitely clear Engraved Prayer Keepsake measures 4" in diameter with soft edges measuring 1/2" thick. Personalized baptism gifts and christening keepsakes include free personalization of any name. Additional Details Give her this personalized gift for christening, communion, or other significant event in her life. No matter where she is, she can remember that the power of prayer will carry her through. Our Friendship Keepsake Heart Clock is another great glass keepsake item we have.